Product prices and availability are accurate as of 2019-04-18 16:17:27 UTC and are subject to change. Any price and availability information displayed on http://www.amazon.com/ at the time of purchase will apply to the purchase of this product. 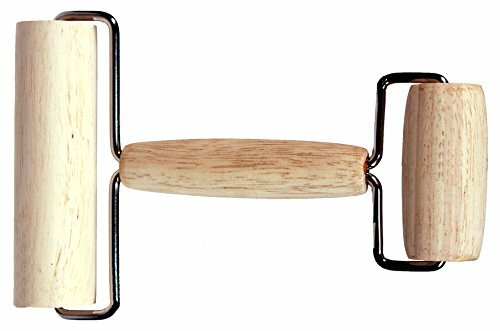 Double Ended hardwood roller for flattening or smoothing clay. Rollers are 4 1/2" wide on one end and 2 1/2" wide on the other end with chrome plated steel handle. The 2½" roller is slightly tapered. Periodically coat with vegetable oil to preserve finish. Double Ended hardwood roller for flattening or smoothing clay. 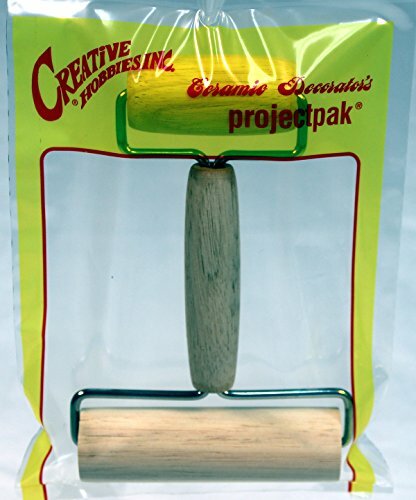 rollers are 4 1/2" and 2 1/2" wide with chrome plated steel handle. The 2½" roller is slightly tapered. Periodically coat with vegetable oil to preserve finish.